‘Night and Day’ takes us on a journey through a decade of after-dark frolics, at nightclubs and balls and decadent house parties, and more wholesome daylight activities such as picnics and visits to the seaside. 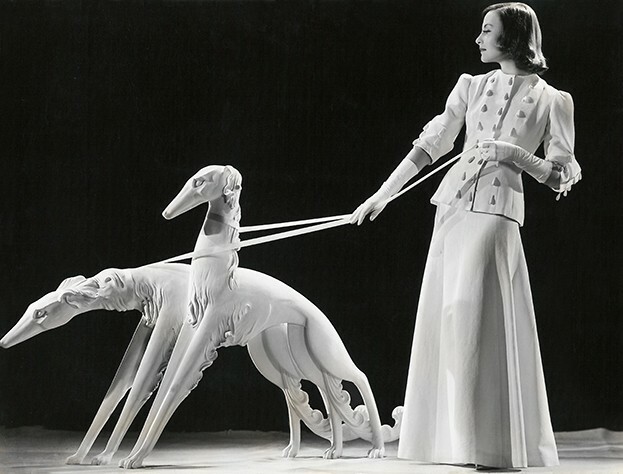 Alongside a selection of elegant evening gowns and other original garments, all kinds of fashion imagery are on display here: from archival copies of New York Woman and Motion Picture magazines, to advertisements from the American Viscos Corporation, to pictures by 1930s photographers like Paul Tanqueray, Ruzzie Green and Ernest Bachrach, to snapshots from private collections. Furthermore, the Fashion and Textile Museum also hosts a smaller accompanying show, ‘Cecil Beaton: Thirty from the 30s’, which presents a selection of the great society photographer’s portraits alongside pictures from the raucous parties that he held in his luxurious country manor, Ashcombe House. Together, both exhibitions form a portrait of an incredibly glamorous age that would soon be cut short by the war and has never quite returned.